Dog attacks are terrifying. They leave victims feeling helpless, hopeless and in a world of pain. Disturbingly, if you're bit by a dog, it's likely a dog you know - either your own, a neighbor's or a friend's. Such was the case with our client Fernando. Fernando lived next to a family with a pit bull. 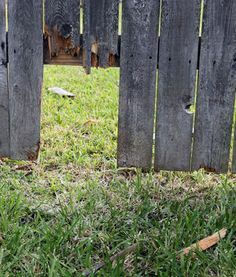 As with most Texas houses, a wooden fence separated their yards. One day, Fernando was standing in his backyard with his own dog, Maggie, when he noticed the neighbor's pit bull had been chewing a hole in their shared fence. Maggie went to investigate the hole when suddenly the pit burst through it and attacked her. Fernando rushed over to separate the dog fight. He managed to shove the pit bull off of Maggie, but the aggressive dog came back for him and bit his hand, partially severing a finger. Fernando came to us hurt, confused and afraid for his family - the pit bull had escaped the backyard many times, had killed another neighbor's dog, and scared the kids as they were waiting at the bus stop. Fernando was wary about making a claim, though. It was his next door neighbor, after all. Would this create bad blood between them? Plus, the attack happened in his yard. Did he even have a right to file suit? We assured Fernando that it was absolutely appropriate to make a claim against someone you know. First, most dog attacks happen between owners who are friends or neighbors, so it's very common to know the person you're filing against. Second, the neighbors were negligent - it's a dog owner's duty to keep their dog secured, especially if the dog has aggressive tendencies. Why should Fernando have to front the cost of his medical bills for someone else's mistake? We went right to work constructing Fernando's case. As we expected, the neighbor's insurance company refused to accept responsibility for the attack. They seemed to think Fernando was somehow at fault for getting too close to an aggressive dog. That, of course, is absolutely ridiculous, so we took the case to trial. A Tarrant County jury sided with our client and we were able to recover a judgment in excess of $150,000 for our client.